Advancing economic, social, and environmental justice in Maine. June has been an incredibly eventful month for us at Maine Initiatives – and we continue to stay busy. We will be sending out a series of communications in the coming weeks as we ramp up our Grants for Change 2018 program, so expect to hear from us…a lot! But for now, we are eager to share with you a recap of our inaugural Racial Justice Working Symposium and the 2nd Annual Changemakers Celebration, as well as some updates and announcements regarding our Immigrant-Led Organizations Fund and Grants for Change. On June 13 we held our inaugural Racial Justice Working Symposium with 150 of Maine’s racial justice activists. 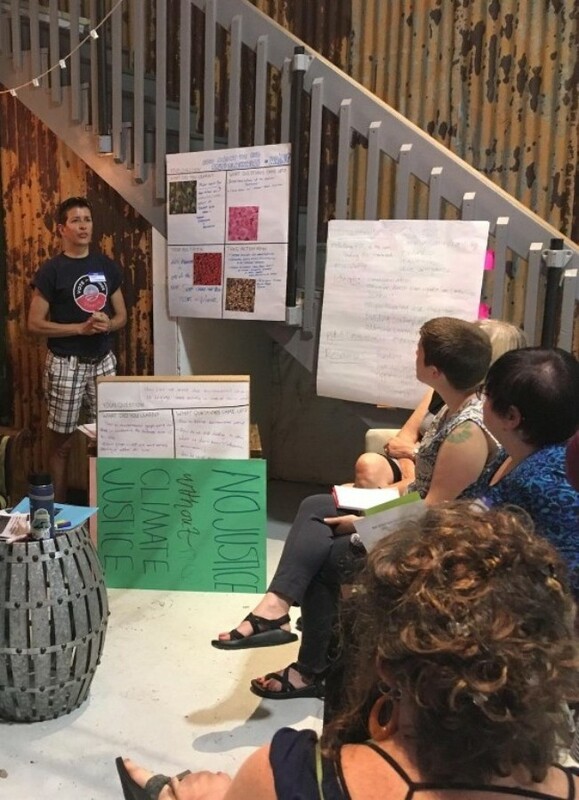 The Symposium was a day filled with building power and partnership through collaborative exploration of the barriers to and opportunities for racial justice and equity in Maine. 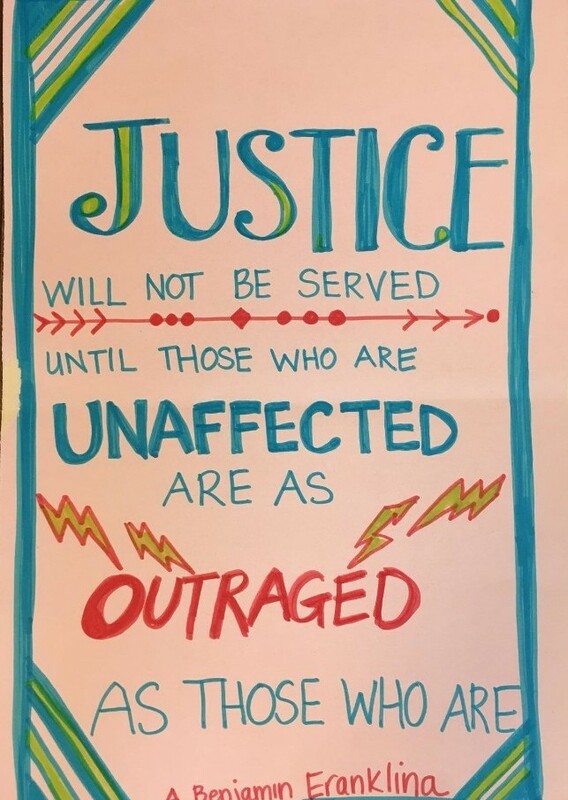 The Racial Justice Working Symposium provided a vibrant and engaging space for participants to make new connections, creatively engage in pressing issues of justice and equity, and to re-energize through shared food, friendship, and self-reflection. We can’t wait for next year! In the evening we kicked off our Changemakers Celebration where we took Shay’s message about self-care and joy to heart. In summary: what a party! Our Gala Planning Committee– Lizzie, Rene, Victoria, Jessica, and Ana. Thank you for everything!!!! The (what felt like) 50 volunteers who helped us make the whirlwind 2-hour transition from the Symposium to Changemakers. Thank you to everyone who broke down tables, moved chairs, swept, rearranged flowers, and everything else. Viva and the Reinforcements for providing the sound track to the evening with your music and joy. You made the party a PARTY! And to all of our amazing caterers whose delicious food fueled our night of celebration:Isuken Co-op, Roast House with Chef Robbins, Maiz Colombian Street Food, In Her Presence, Survivor Speak USA, and Babylon Restaurant. And of course, a huge thank you to everyone who joined us at Changemakers. With your support we were able to raise $10,000 at the event! This fundraising enables us to provide an additional $500 grant to each of our 20 Grants for Change grantees. If you still need to fulfill your pledge, or if you couldn’t join us but would like to support the cause, you can donate HERE. This week we announced the recipients of our 2018 Immigrant-Led Organizations Fund. 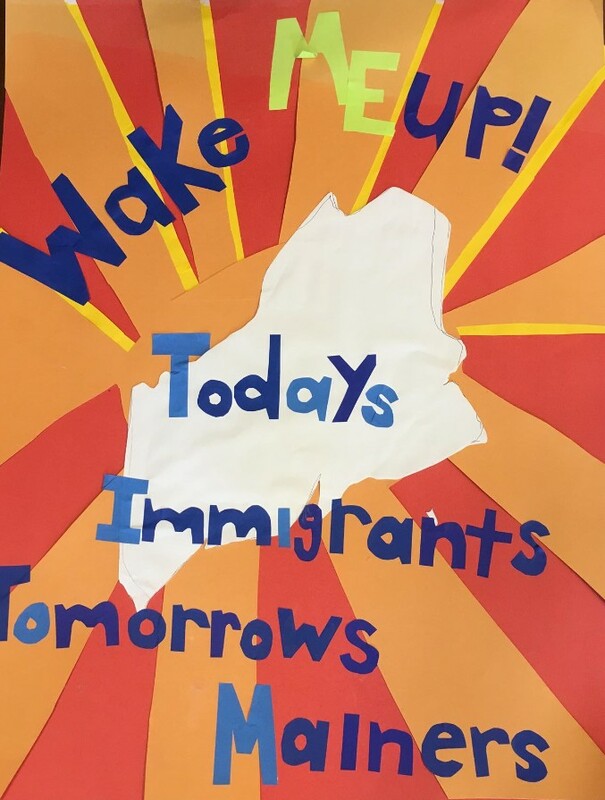 During this political climate, we all must commit to support immigrants, refugees, and asylee communities in our state and the organizations working to ensure their well-being and success in Maine. We are proud to support these nine organizations and hope you will too. To learn about these organizations and the work that they do, please visit our website. Grants for Change: Be A Grantmaker! Do you want to get more deeply involved with your community? Learn more about the racial justice work happening in our state? Gain experience reading grant proposals? Applications to become a proposal reader are due July 25th. To learn more about becoming a reader please visit our website HERE. 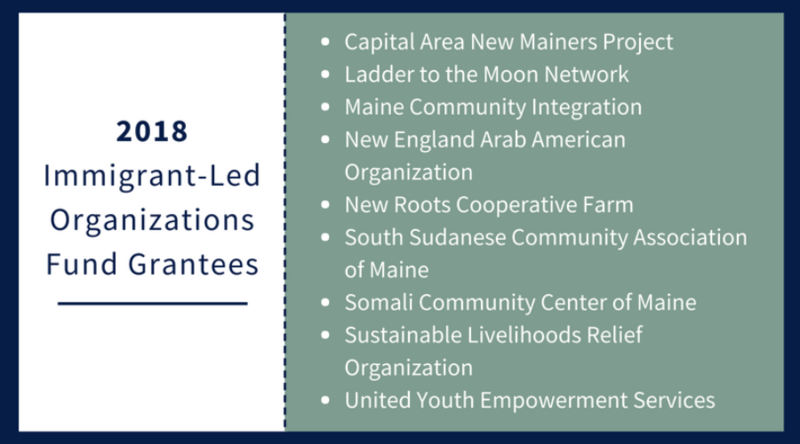 Grants for Change is now accepting applications from organizations working to advance racial justice and equity in Maine. Learn more about the grant program HERE. Applications are due at 5:00 pm on Friday, July 20, 2018.